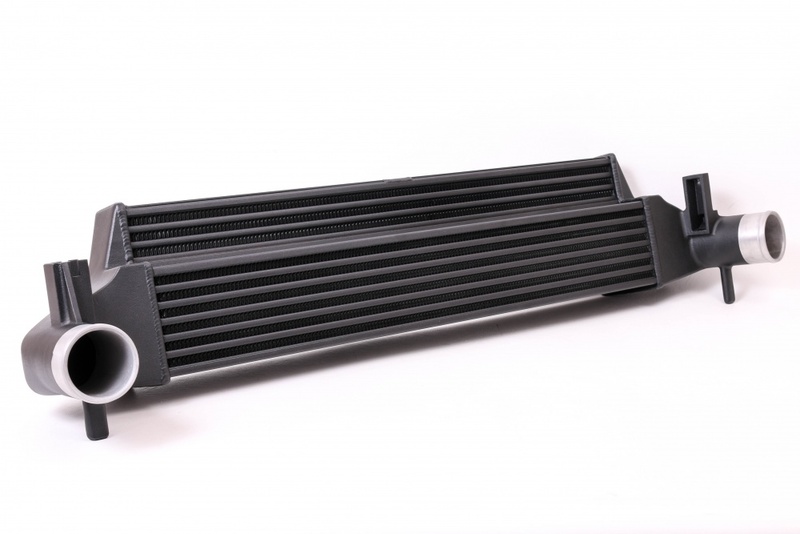 The Audi S1 packs the large 2.0 TSI engine from the Golf GTI into a small chassis, so some things are bound to be compromised, and unfortunately Audi decided to make do with in intercooler that’s around a quarter the size of the one found on the Golf ! 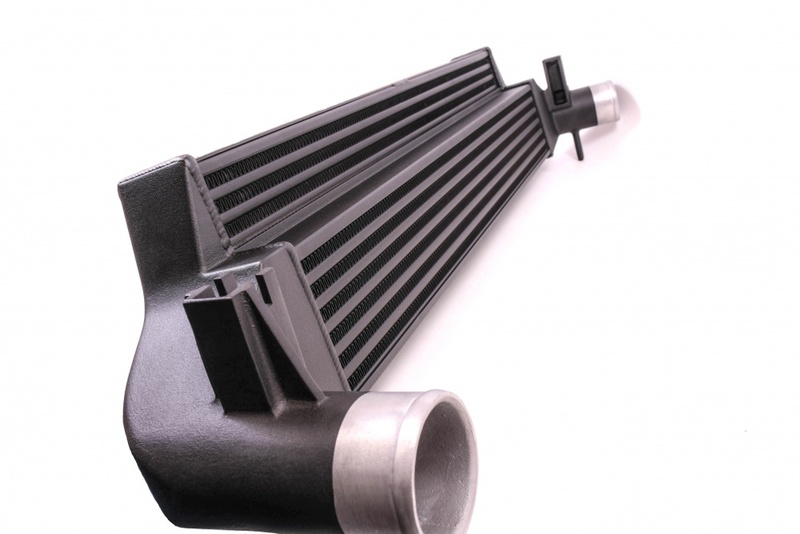 On a remapped car this easily pushed intake temperatures up above 80 degrees C.
The space available to go with a larger core is very limited, but using a unique stepped core (we were the first aftermarket intercooler manufacturer to make a stepped core way back in 2006) and our own bespoke cast end tanks, we have been able to deliver an intercooler that performs excellently over and above stock. We recorded a 30+ degrees C drop in inlet temperature, giving a boost in power of 10bhp with no other modifications. On a cool day the increase would be even greater. 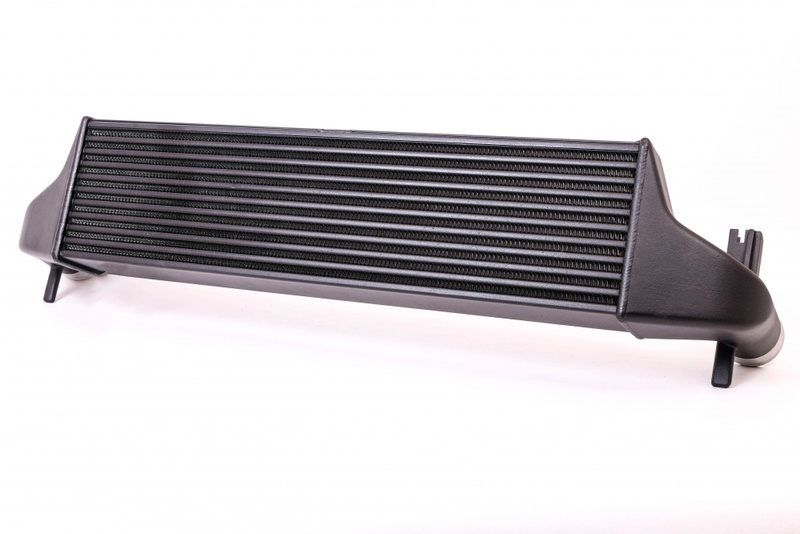 This intercooler comes in our unique stealth black finish giving an OEM appearance.